Mechanical Engineering, Thermal Engineering, Biofuels. Prof. Bharath has a bachelor’s degree in Mechanical Engineering from PES College of Engineering, Mandya, and an M.Tech. in Thermal Power Engineering from Sri Venkateshwara College of Engineering, Bangalore. He has worked as Quality Engineer at Hi-Tech industries, Bangalore, and as assistant professor in the department of Mechanical Engineering at SRSIT, Bengaluru. Currently he is working as Assistant Professor in the Department of Mechanical Engineering, SoET, CMR University, Bangalore. 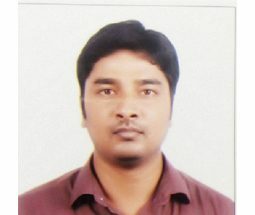 He has published a research paper in the International Journal on Theoretical and Applied Research in Mechanical Engineering (IJTARME) and a paper on Experimental Study on Performance and Emission Characteristics of Jatropha Biodiesel in the International Journal of Mechanical Engineering (IIJME).